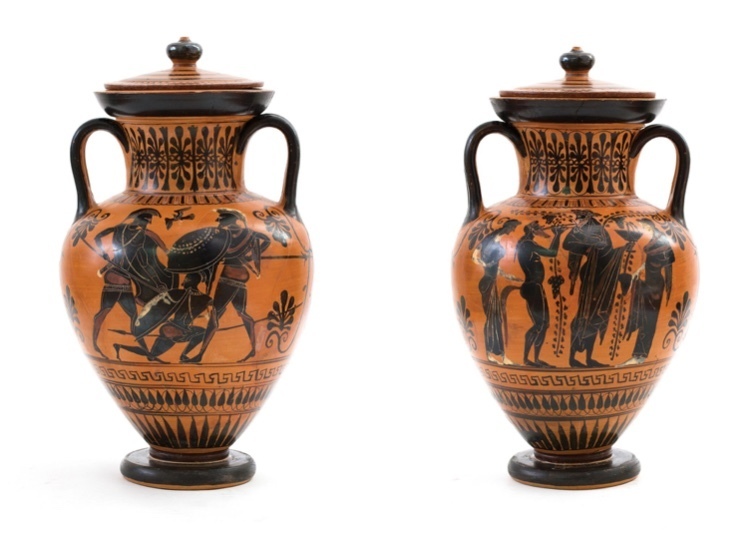 Amphorae from Greece, reliefs from ancient Rome and precious gold idols from Pre-Columbian South America - Bertalomi's sale this month delves into craftsmanship from ancient civilizations. The goddess Artemis Orthia was considered, especilly by Spartans, as the diety of animals. In this relief she is presented as a winged creature, as she often was in Oriental iconography. Orthia was a pre-Olympic goddess whose cult following spread in Greece at the end of the eighth century BC. The wreath of leaves that crowns the head of this bust is reminiscent of a Dionysian figure. It is unclear whether it is a satyr, Dionysus himself or even the half-god Heros Heracles in the clothing of Dionysus. Busts in the form of herms were very common in the Hellenistic period and during the Roman Empire, especially within private collections. They served as ornaments for the house or gardens. The surface of this marble urn is decorated with a relief of birds, dolphins, fish, griffins and sphinxes surrounding an inscription panel. 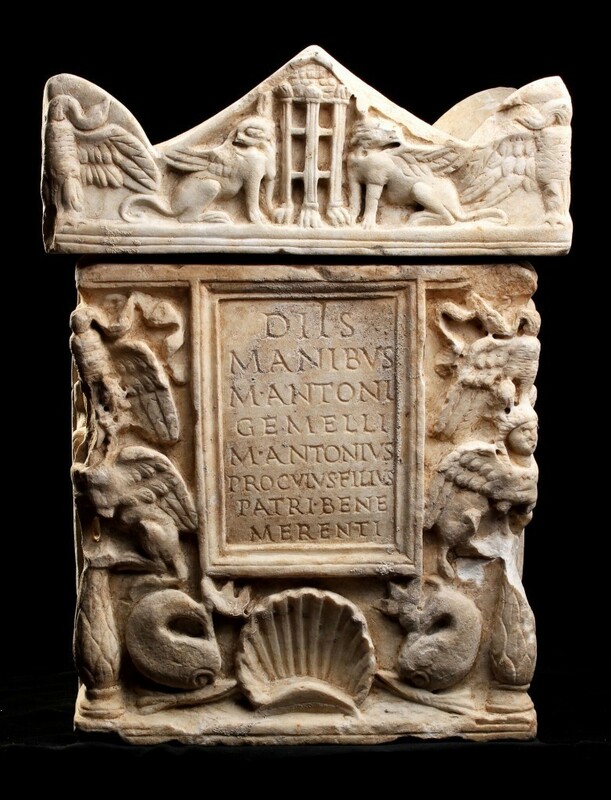 The inscription features the name of deceased: Marcus Antonius Gemellus. The dedication on the urn is from his father, Marcus Antonius Proculus, who name is also inscribed. Puteal, Aurisian stone, H: 82 cm, Italy 11. Jh. 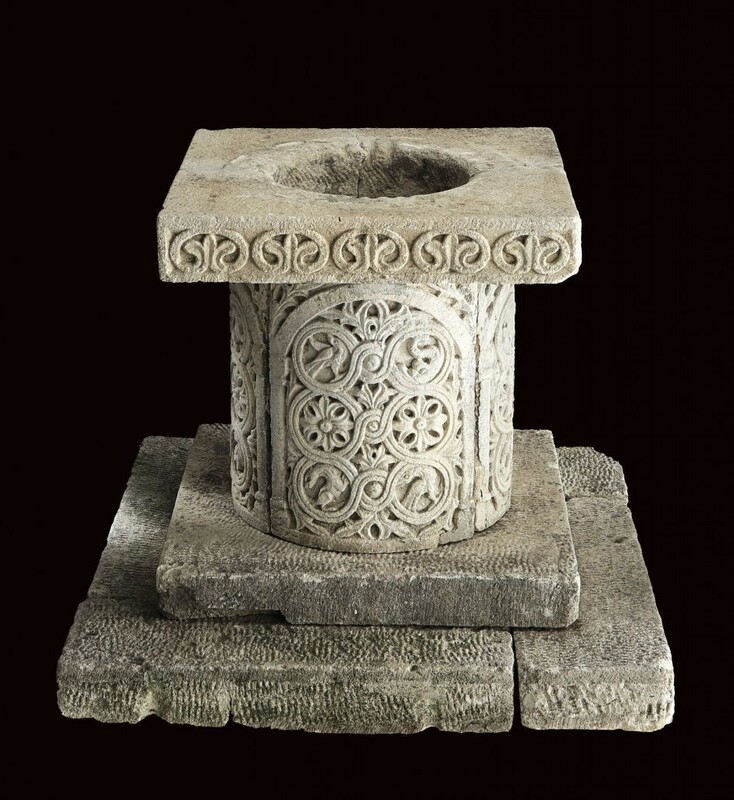 This puteal, otherwise known as a well, is decorated with a complex pattern of plants and animal motifs, including peacocks, dolphins and griffins. This labrum was once part of a column. The twelve apostles, who appear in prayer or holding the Holy Scriptures, decorate the piece. 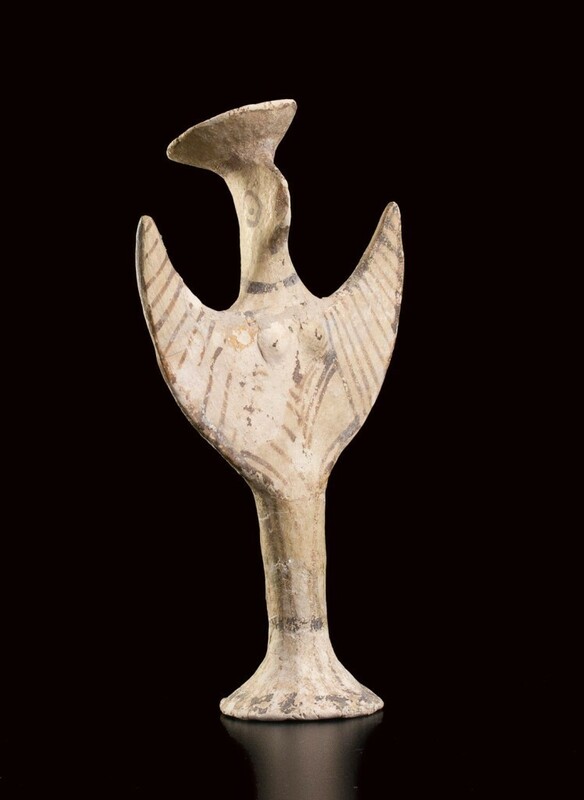 This rare painted statue of a Mycenaean goddess with a bird's head and raised wings, is from the Erlenmeyer collection. In the late 6th century BC the Attic black-figure vases were often decorated with scenes from the literary works of Homer or Dionysian. On this extraordinary Attic amphora there are two scenes: one depicting three warriors engaged in a battle - which could be a represention of an episode from the Iliad, making the figures Achilles, Memnon and Antilochos. The other scene shows a bearded Dionysus, handing over a Kantharos to a female figure, presumably Arianna. Precious crystal bowls belonged on the feasting tables of Rome's upper classes. 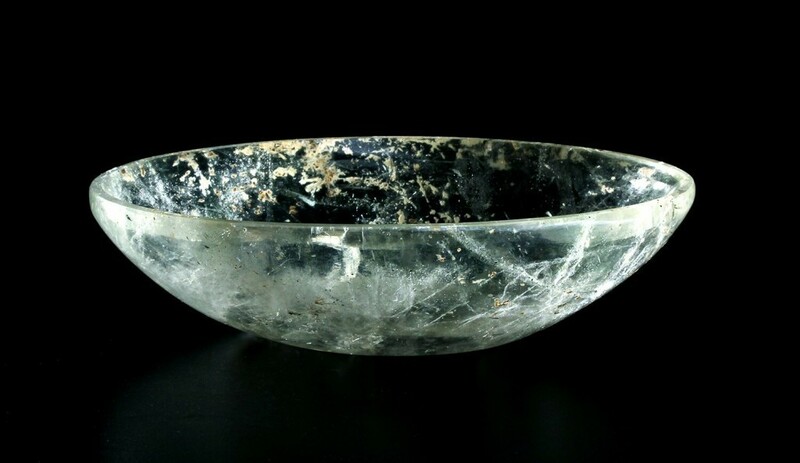 When Emperor Augustus was a guest at Vedius Pollio's estate, one of Vedius's slaves broke a crystal bowl and was going to be killed as punishment. In order to save him, Augustus smashed all the other crystal bowls in the house. 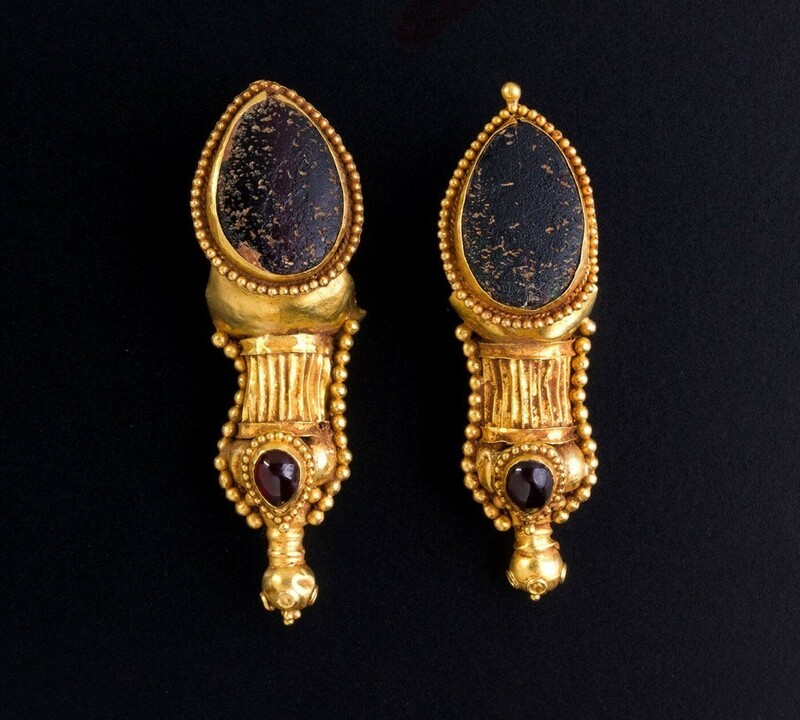 The sale will also feature antique jewellery, including this pair of earrings in yellow gold, decorated with garnet and glass paste. Their creator came from the realm of the Parthians, which today is Iran. Let's skip a few hundred centuries, to when the Spanish conquistadors explored and conquered South America in the 16th century and came upon the legend of a gold land in the centre of the continent. The origin of this legend dates back to the indigenous peoples of Colombia who were true masters of goldsmithing. As the explorers ravaged the lands of South America, many works of art made of gold were melted by the European conquerors and sent home. Today, all the artifacts that have survived looting and indeed the passing of time are extremely rare and precious. 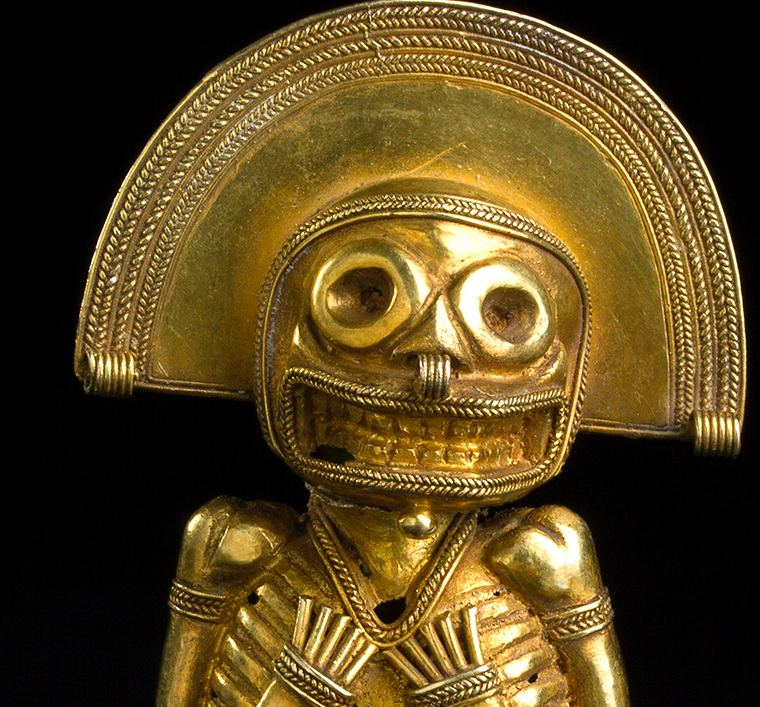 Featured in Bertalomi's spring auction in London are eight golden idols worshipped by the Tairona people, an indigenous culture that settled in parts of today's Colombia. See the gallery above. 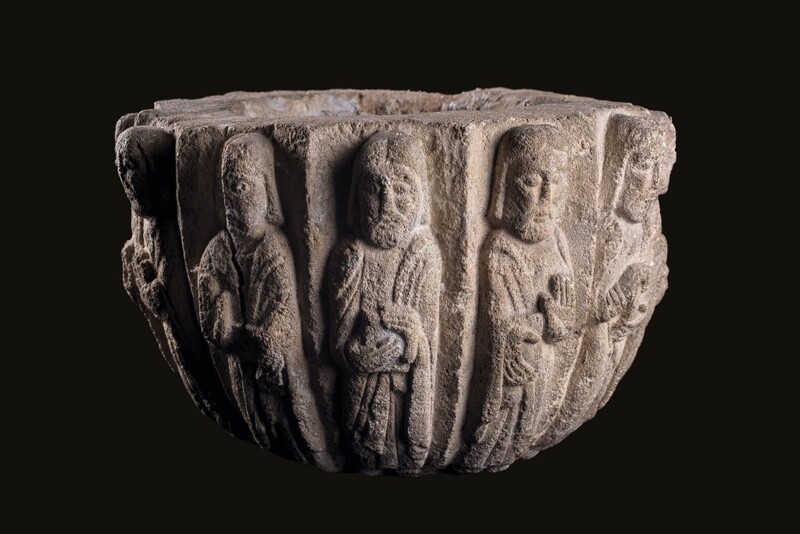 The figures from between between 1000 and 1500 AD, which are between 3 and 8.5 cm high, served religious purposes. Tumbaga was used to creates these pieces - a material consisting of an alloy of gold and copper. The idols were made has either animal or anthropomorphic features. All eight idols were part of the collection of the French diplomat and explorer Gaspard-Théodore Mollien (1796-1872), who probably took them to Europe after his deployment in Colombia. From Mollien, they went to private collection in Monaco and England. 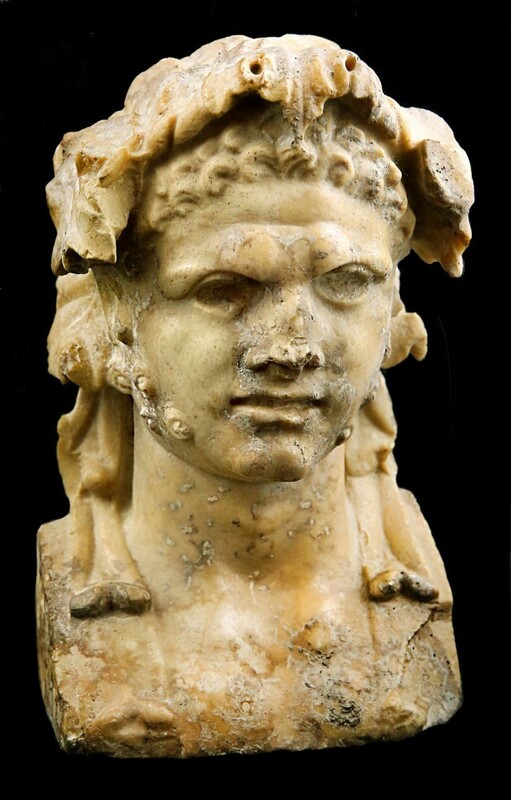 82 archaeological treasures will be auctioned at the Pall Mall Gallery in London on March 24. An exhibition of all pieces will be on display until March 23. Absentee bids will be accepted. Absentee bids will be accepted until the auction day at 12 noon. Check out the full catalog here.